I’m not normally critical of badly-written English abroad — why should people write perfectly in an alien tongue? 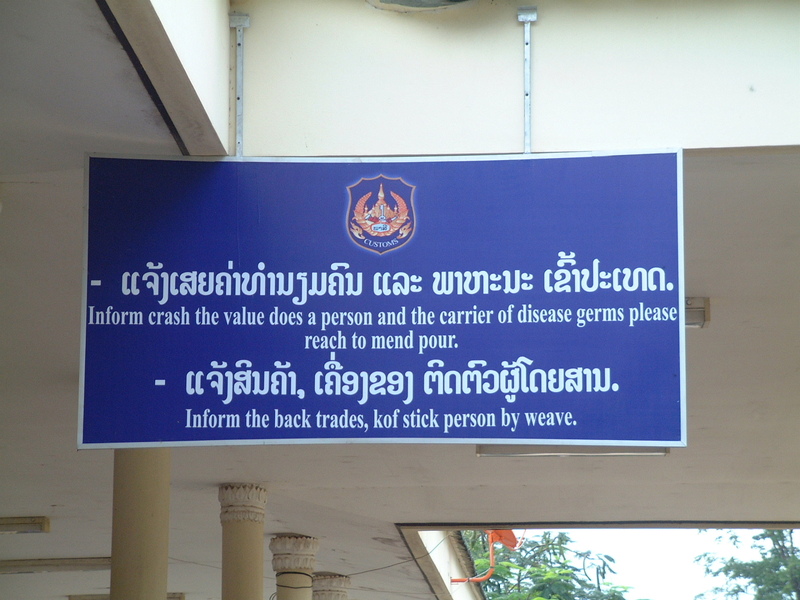 But this sign, from a visit this morning to the border post at Vangtao on the border between Laos and Thailand, really beats them all. My colleague says the Lao translates as something to do with presenting yourself at quarantine if you feel ill. Obviously it doesn’t apply to English speakers.